Discussion in 'Transformers News and Rumors' started by Sol Fury, May 15, 2018. I really like this one, he's a lot of fun and looks great on display. Swoop is a favourite of mine as well, I’m so glad he has a Blue chest! That’s what made him stand out for me as a kid. mine must have some slight flash on his head ballpoint cause his head slightly tilts to one side, other than that though he is practically perfect, his mould brother Cutthroat will undoubtedly be as good! Except for the lack of articulation, I think G1 Swoop looks better in robot mode, but PotP Swoop looks better in dinosaur mode. POTP Swoop dino-mode looks great on the figma stand. Highly recommended. Still have my fingers crossed, that someday they'll release a red one. Still the best of the PotP Dinobots, both modes look great and doesnt suffer from many of the issues the others suffer from. 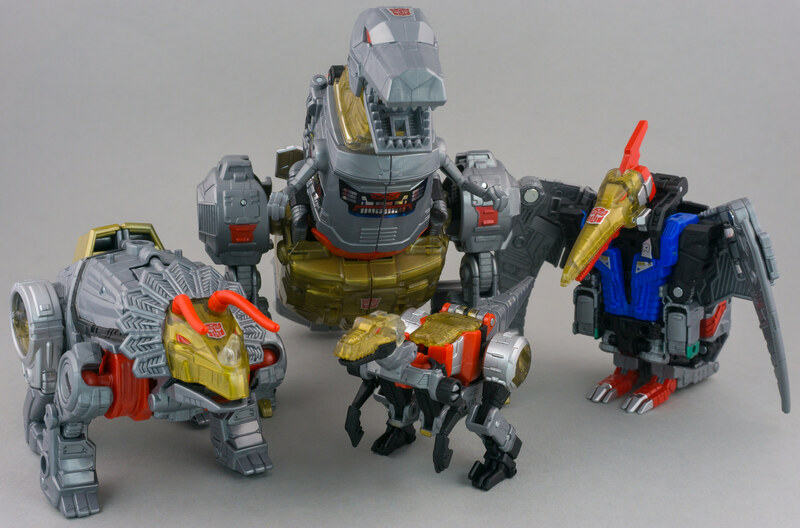 I wish they would make oversized KOs of the dinobots in voyager scale and axe the combiner gimmick. Any recommendations on a cheap place to buy a few of those stands? Swoop\'s bot mode is incredibly clean! Try as I might, I can\'t find a single piece of obtrusive kibble on him. 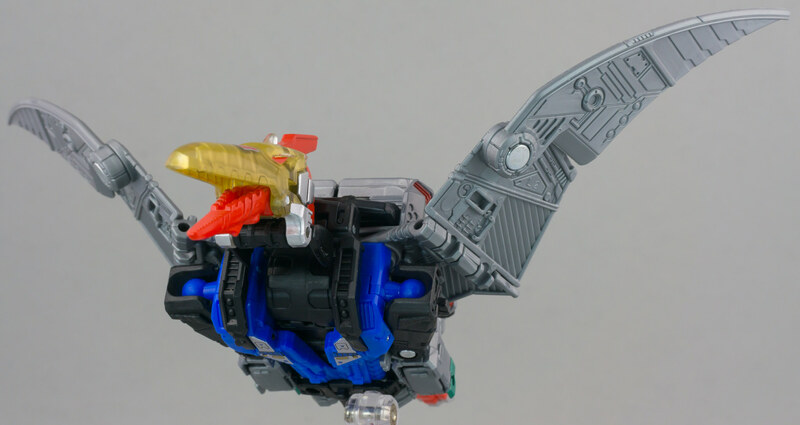 I especially love how the combiner port integrates into his back so seamlessly. If I didn\'t know better, I\'d have just passed it off as mechanical detailing and moved on. 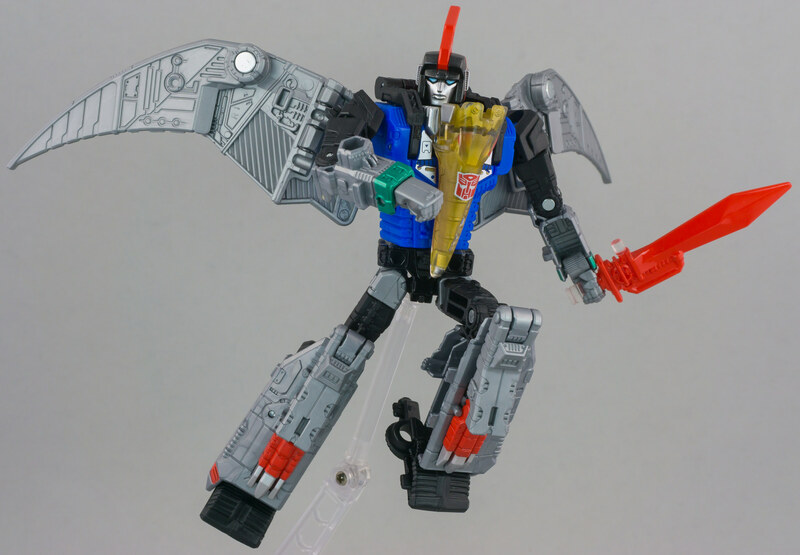 In short, he\'s my favorite of the Dinobots so far! My only fault with him is the color scheme. A little more red would be nice, especially in the torso section, just to break up the overwhelming blue and grey.